★ The Light Clinic is proud to once again help host seven Tibetan refugee monks from the Tashi Kyil Monastery in Dehra Dun, India for the Fall of 2015. When we hosted the Tashi Kyil Buddhist Monks in May 2013, the community support was outstanding and that resonance can still be felt. It is part of The Light Clinic’s mission to bring inspiring teachers and spiritual leaders to Central Kentucky. We support their work while expanding the knowledge and growth of our communities. We are so pleased the Tashi Kyil Buddhist Monks are our special Fall guest for 2015! We do need help from the community to make this possible. If you are interested in volunteering to help organize an event, or would like to financially support the monks in their journey please let us know! Donations will be accepted at all events, but all are always welcome regardless with or without donating. We are also looking to get 20 more individual donations of $100 to support the construction of the World Peace Mandala. Please consider taking a moment to support their monastery and their visit to our capital city. By doing so, you invite more wonderful opportunities like this in the future! This is a unique and special event for Frankfort's community. 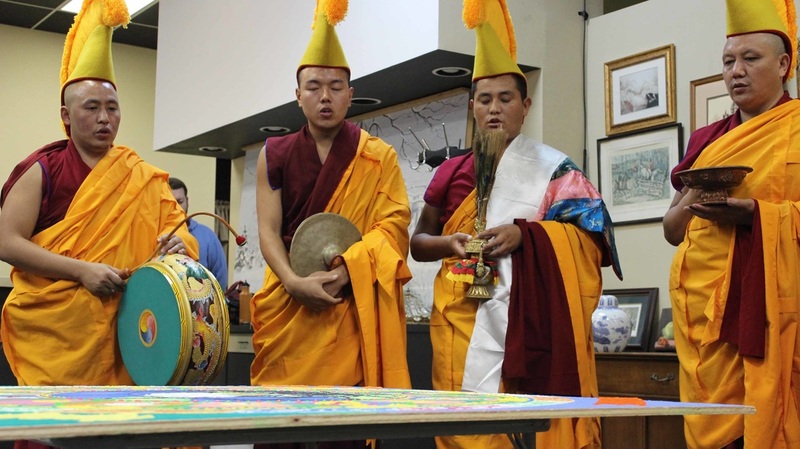 Events for their stay will include construction of a large, sacred sand painting called a World Peace Mandala (taking 3-4 days of full-time work to make! ), a Sacred Closing ceremony and River walk, meditation, Tibetan yoga and chanting opportunities, Tibetan cooking class and dinner, children's art workshops, altar demonstrations (how to set up an altar in your home), Dharma teachings, home blessings and demonstrations, a Tibetan cultural program "Travel to Tibet" and outreach to local schools and churches. 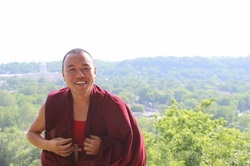 The monks are on a fund-raising tour of the United States, with the goal of spreading peace and compassion while raising funds to support their refugee monastery. "Their monastery is small and poor and needs funds to renovate its living quarters and to further the education of the young monks who have been sent there by their families to be taught the Buddha Dharma and to prepare for life in the 20th century." Click here for the Tibetan Tashi Kyil Buddhist Monks 2015 Tour Schedule. Click here to stay up to date with the Monks with theirTibetan Tashi Kyil Buddhist Monks Facebook page. *2011 & 2012: Dr. Edward Neal, MD, L.Ac. 2.30-4.30pm Tibetan Cooking Class* at the Church of the Ascension. 311 Washington Street, Frankfort. $45 (includes a ticket to the Tibetan dinner) *Pre-registration is required and limited by space. Please contact Charlie Pearl at (502) 330-1201 if you would like to sign up! 6pm Traditional Tibetan Dinner at the Church of the Ascension. Includes Mo-Mo's (meat & veggie dumplings), Tendhuk (noodle soup with meat and veggies -- meat can be eliminated), and Dey Tsi (sweet rice pudding). $15. You can buy your ticket ahead of time or at the door. 9-4pm World Peace Sand Mandala creation begins--a large, sacred sand painting that will take the monks the next 4 days to make. Please drop by to watch anytime! Joe Fiala, Ph.D. (305 St. Clair Street) has graciously donated space on the downstairs floor, which will remain open to the public while the monks are working. Suggested $5 donation, but none necessary. 11-11.50am Tibetan Yoga with the Monks at the Frankfort Yoga Studio, 306 W. Main Street, Suite 300, Frankfort. Suggested $5-$10 donation. 5-6pm Church of the Ascension meditation instructions with sacred Tibetan mantras. 311 Washington Street. Suggested $5-$10 donation. 6.15-7.30pm History of Tibet and Monastery at Church of the Ascension. $10 donation. 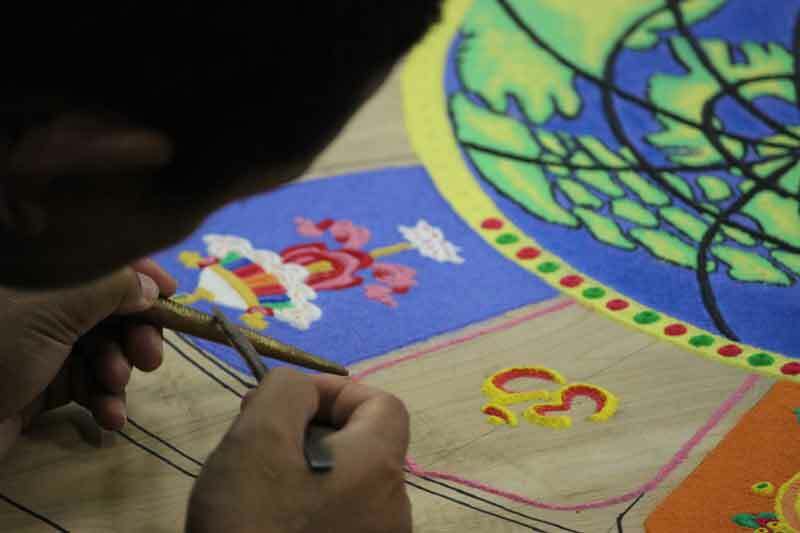 9-6pm The monks will continue work on the World Peace Sand Mandala. Please drop by and watch anytime! 305 St. Clair Street, Frankfort. $5 suggested donation. 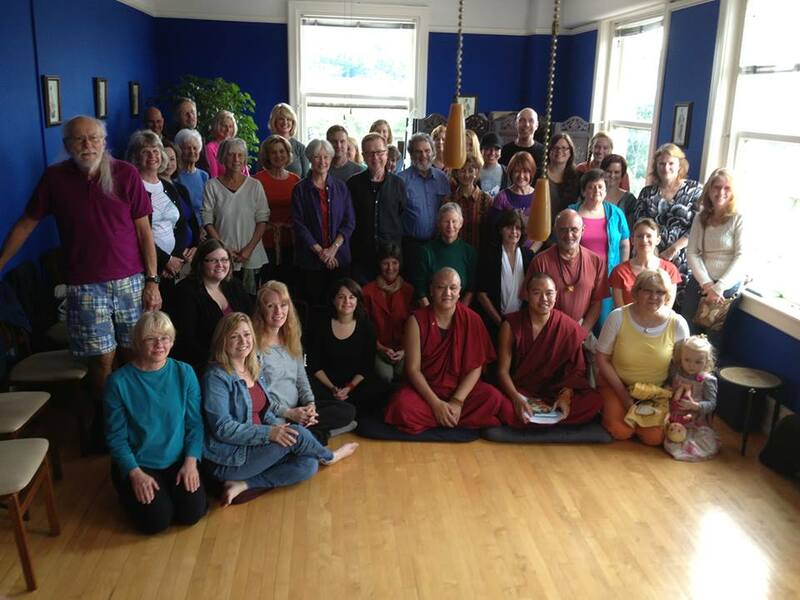 6-7pm Tibetan Buddhist Dharma Teaching at The Light Clinic, 306 W. Main Street, Suite 609. $10 suggested donation. 9-8pm World Peace Sand Mandala creation continues and Candlelight Tour Open House in evening, 305 St. Clair Street, Frankfort. Stop in to watch the meditative sand mandala creation, learn how to create a sacred altar for yourself at home, and buy special Tibetan goods! $5 suggested donation. 1-2pm Tibetan Yoga at the Frankfort Yoga Studio, 306 W. Main Street, Suite 300. Suggested $5-$10 donation. 5-8pm Candlelight Tour Kids Workshop and Candlelight Open House with Monks at The Light Clinic, 306 W. Main Street, Suite 609. Suggested $5 donation for kids workshop, includes butter sculptures (with playdough! ), mandala coloring, sand creations and one-on-one time with monks and kids! 9-8pm The last day of the World Peace Sand Mandala creation and Candlelight Tour Open House in evening, 305 St. Clair Street, Frankfort. Stop in to watch the meditative sand mandala creation, learn how to create a sacred altar for yourself at home, and buy special Tibetan goods!$5 suggested donation. 3-5pm Sand Mandala Closing Ceremony and walk to Kentucky River (meet at 305 St. Clair Street and have a walking procession with candles). 5-8pm Candlelight Tour Kids Workshop and Candlelight Open House with Monks at The Light Clinic, 306 W. Main Street, Suite 609. Suggested $5 donation for kids workshop, includes butter sculptures (with playdough! ), mandala coloring, sand creations and one-on-one time with monks and kids. Altar-making workshops during Sand Mandala creation, home blessings and divinations (contact Charlie Pearl to set this up for yourself! ), fire puja, debate demonstration. Tibetan prayer and goods for sale, including prayer beads, Tibetan bags, clothes, singing bowls and more!